Due to inclement weather, this event has been canceled. All registered attendees can check their email for more information. We are sorry for the inconvenience. 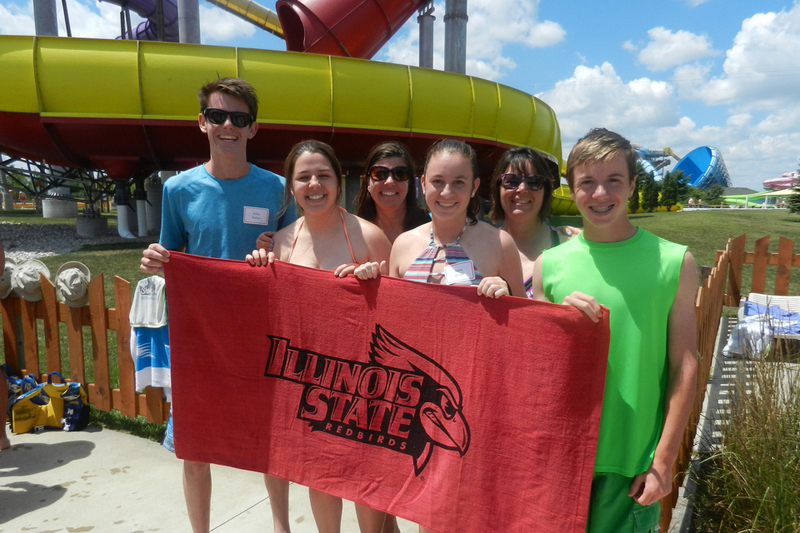 Illinois State alumni are invited to cool off at Illinois’ largest waterpark this summer! Raging Waves Waterpark is celebrating its 11th season with over 26 water slides (including two new slides- the Wild Wallabies), a quarter mile long lazy river, wave pool, and, for future Redbirds, an interactive kid area with new slides. We’re also including a Redbird favorite with a special delivery of Avanti’s Gondola sandwiches straight from Normal! Bring the family and hang out with fellow alumni while enjoying some summer fun. Cost includes entry to waterpark and Avanti’s lunch. Children two and under are free. All guests under 12 should be accompanied by an adult 18 years or older. Proper bathing suit attire is required. Register by 4:30 p.m. on Friday, July 13 online or contact Alumni Engagement at (309) 438-2586.